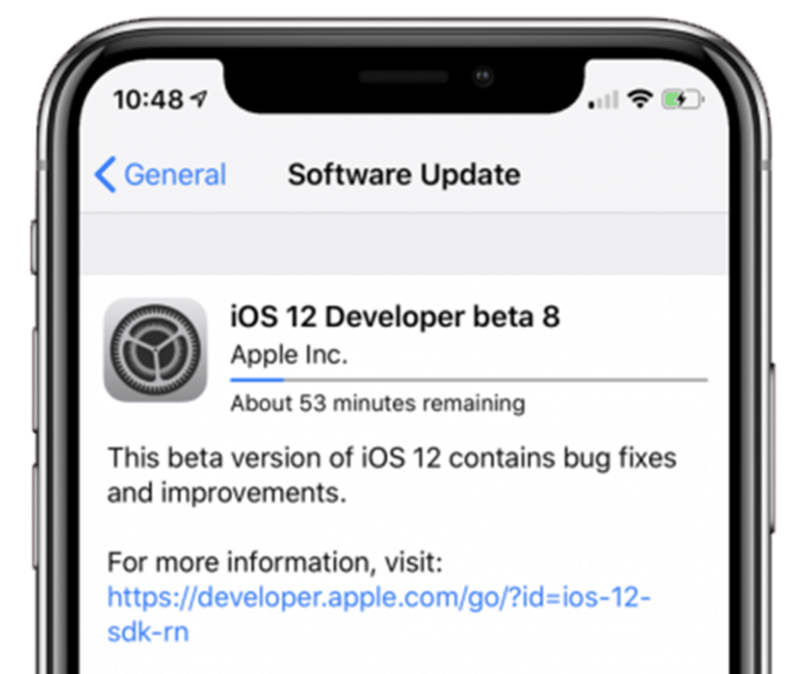 Two days after releasing and again pulling back the beta 7, Apple is back with its new iOS 12 Beta 8 for registered developers for download for iPhone, iPad and iPod touch. The previous beta 7 had so many bugs that resulted in a sluggish device performance. Also, the group FaceTime call has been removed for now until the final release, there is a new welcome screen in Messages app and the Measure app icon has been modified. Same is the case with Beta 8 besides fixing the performance issues that were faced in Beta 7. If you want to install iOS 12 Public Beta 6 rather than testing the iOS 12 developer beta 8 then here is how to install iOS 12 beta on iPhone & iPad. The iOS 12 developer beta 8 is currently available for download registered developer only. The registered developer can install this beta from the developer account or can directly update via OTA mechanism if they have already installed the previous beta from Settings >> General >> Software Update. If you’re not a developer then you can join the Apple Developer Program, which includes a signup fee of $100. But is it possible to get the developer beta 8 of iOS 12 even without developer account? Of Course Yes! You can easily install iOS 12 beta 8 profile on your iPhone, iPad and iPod Touch without Developer Account or Computer but we don’t recommend and try it at your own risk and wait for it’s public beta or official. Here’s a simple step to download and install iOS 12 beta 8 without a developer account or computer on iPhone or iPad. Step 1: Launch Safari on your iPhone/iPad, and enter this URL. Step 2: It will then redirect to iOS 12 beta profile management page. Tap to Slow download (Free) to install the developer profile on your device. Step 3: After the profile is installed, you will be asked to restart your device. Tap on Restart. Note: Your device must have a 50% charge level or connected to a power source with lightning cable. Step 4: Now Go to Settings >> General >> Software Update. Tap Download and Install iOS 12 beta on your iPhone/iPad as normal like you update via OTA. Step 5: Enter your passcode. Agree on the terms & Condition. Step 6: Seat back and relax for sometimes until it completes downloading. Next Tap on install to get iOS 12 BETA 8 on your iPhone or iPad. That’s it. You have now successfully installed 8th beta of iOS 12 on your iPhone/iPad without a developer account. So this is all guys! Hope you find it useful and don’t forget to share it with your friends too. Keep visiting www.imangoss.net and don’t forget to subscribe for daily updates. My iPhone 6 Plus running slow after iOS 11.2 update – FIX!